True PRIDE OF OWNERSHIP! Your fully renovated, Modern 2 Story Townhouse style Condo with a RARE attached 2 car garage awaits! This move-in ready gem offers peaceful tranquility the second you step inside. There are no neighbors above or below - you have complete privacy to enjoy your spacious and beautifully remodeled 2 bedroom, 1.5 bathroom home. Your family will love the the bright and airy, open concept floor plan. The tastefully renovated Kitchen with new SS Samsung Appliances, tile backsplash, quartz countertops, are perfect for cooking up a feast. Additional upgrades include LED recessed lighting, dual pane windows, new carpet flooring, fresh interior paint, private patio deck, pool access, and ample storage space! Extremely LOW monthly HOA fee of $330 in a Gated Community! 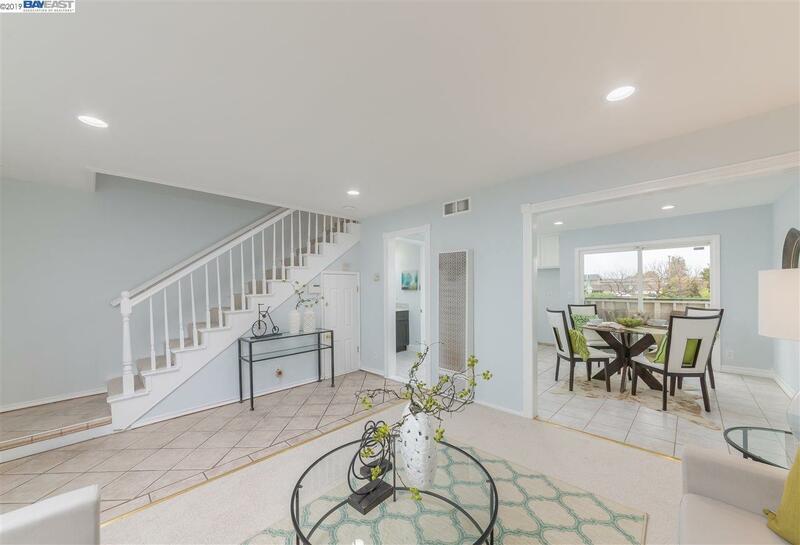 This PRIME commuter friendly location is near BART, AMTRAK, Downtown Hayward, CSU East Bay, and has easy access to the San Mateo Bridge, and HWYS: 580 & 880. This is every Commuter's dream come true! Listing courtesy of Roxanne Barrionuevo of De Novo Real Estate.